Fisheries oceanography and ecology are multidisciplinary fields of research. Therefore, we seek highly-motivated and talented MS and PhD candidates with diverse backgrounds and experiences. The focus of our work is often related to marine fish early life stages (eggs, larvae, juveniles). But our interests are varied, and include research related to trophic ecology, fish-habitat associations, planktonic responses to anthropogenic disturbances (e.g., oil spills, marine debris), and other fisheries-related topics. I generally accept students only when there is funding available to support their graduate stipend and research needs. Graduate assistantships supported through external grants, when available, are posted on this website and on the American Fisheries Society Job Board. In addition, the Division of Coastal Science (COA) offers graduate fellowships for exceptional students. Students with a strong science background, a solid GPA (e.g., 3.0 or greater), and good GRE scores (e.g., minimum of 50th percentile for Verbal and Quantitative scores) are preferred. However, previous research experiences and strong letters of recommendation are equally (if not more) important. In general, PhD students are accepted to my lab only if they have earned a MS degree already. If you are interested in working in the Fisheries Oceanography and Ecology lab, please send me (frank.hernandez@usm.edu) a single pdf file with the following: cover letter of interest, CV, GRE scores (percentiles), and transcripts (unofficial is fine). I will respond and let you know if we have available funding, openings for new students, etc. 1) Determine if USM and the Division of Coastal Sciences is the place for you. To do so, please spend some time perusing the Gulf Coast Research Lab’s website to get a feel for our faculty, our research interests, and available university resources. It is often helpful to reach out to current graduate students to get their opinions about the program. Think about why you want a MS or PhD degree, and how getting that degree from USM will help you reach your career goals. 2) Contact a potential advisor. This is the most important aspect in applying to graduate school. The COA faculty will generally not admit an applicant into the graduate program unless a faculty member has agreed to serve as the applicant’s graduate advisor. A faculty member’s willingness to take on new students will often depend on available funding and the strength of the candidate’s application, among other factors. Therefore we highly recommend that applicants reach out to a faculty member before applying to the graduate program. 3) Apply to the Graduate School.  Once you’ve decided that USM is right for you, and a faculty member has agreed to serve as your graduate advisor, then you are ready to officially apply to the graduate program. Instructions for doing so are found here. Be mindful of the requirements for entry into COA graduate program, which are located here for MS applicants and here for PhD applicants. Once completed, an application is reviewed and discussed by the COA faculty, after which the faculty will vote on whether the applicant is to be admitted to the program. 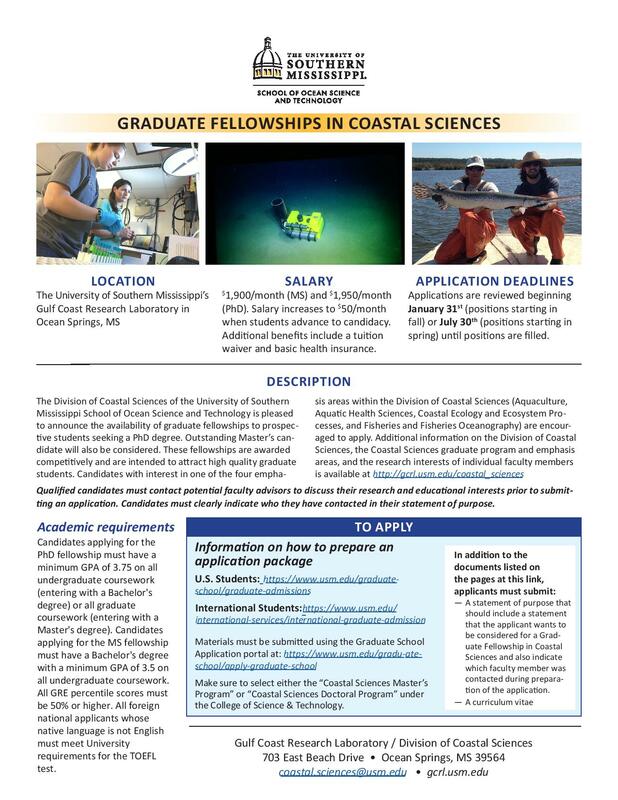 Click HERE for Graduate Fellowship Opportunities in Coastal Sciences!